K9U is an Atlanta dog training service. We turn puppies and dogs into well-adjusted, well-behaved companions who love to learn and are a pleasure to live with. We offer private in-home dog training, puppy training and socialization programs, behavior modification, and puppy kindergarten classes. Chew all the wrong things? Pull while walking on leash? Bark at other people or dogs? Rush the door when the bell rings? K9U can helpwith these and many other training challenges. 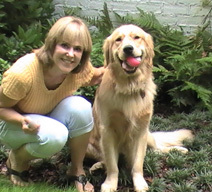 Fast relief from common dog behavior problems. Customized training programs worked around your schedule. Results where it counts: in your home and neighborhood. And we use only science-based positive dog training methods, so your dog will love you for it.